Voters today will head to the polls in Missouri to vote on a number of contested primary races for statewide offices. While there they will also vote on a constitutional amendment. Many voters will likely not know too much about the amendment since it has received little attention--especially compared to a couple of the highly-charged primary races. Adding to the dearth of attention, the ballot summary sounds good. The summary says the measure would amend the State Constitution to ensure "a citizen's right to express their religious beliefs regardless of their religion shall not be infringed and that the right to worship includes prayer in private or public settings, on government premises, on public property, and in all public schools." Well, that sounds nice. Who is against prayer and religious liberty? If only it were that simple. There are two big problems with this stealth measure. First, it is completely unnecessary. There is this thing called the First Amendment to the U.S. Constitution that already ensures these rights. Additionally, the Missouri State Constitution is also quite explicit in protecting religious liberty rights (as found in Article I, sections 5-7). 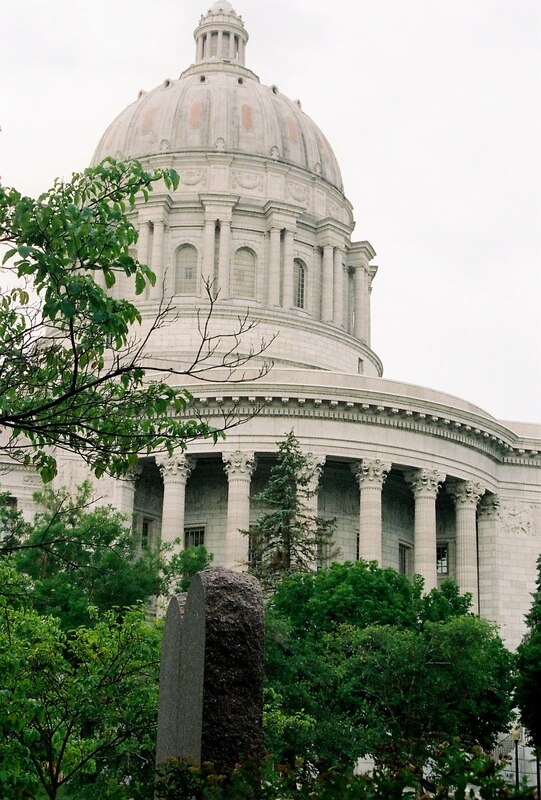 There is nothing to fix in the Missouri State Constitution, so the proposed constitutional amendment is unnecessary (the photo is one I took of a statue of the Ten Commandments on the grounds of the Missouri State Capitol building). The second problem with Amendment 2 is that is could create some harmful situations. Rather than protecting religious liberty, sections of the statement actually seem designed to enable public officials to bring their sectarian faiths more into official government events and is likely to bring fights and litigation regarding public school curriculum and activities. As the New York Times declares about the ballot initiative, "If Missourians amend their Constitution, they will erode rather than enhance their religious freedom." Going even further, the St. Louis Post-Dispatch warned that "the so-called public prayer amendment" (with its "mangled grammar") "is a wolf in sheep's clothing." This ballot initiative is essentially an effort that Missouri legislators have unsuccessfully attempted to put on the ballot in past years. In 2008 (when I lived in Missouri), I wrote a column criticizing a similar bill that later died before it made it to voters. Hopefully voters will this time step up and fix the mistake of legislators. Unfortunately that will probably not happen as it will take a miracle for this innocent-sounding amendment to be defeated today.